Using together the label printing, the simplicity of the barcoded monitoring and the shipping tools (planning, optimization) offered by GesPack, you ensure the traceability of all your production line, from the supply to the shipment, and the compliance with your customers’ requirements. Since its beginning, INFICO is involved in the barcodes use, whether it is for shipping, packing, industry or distribution. 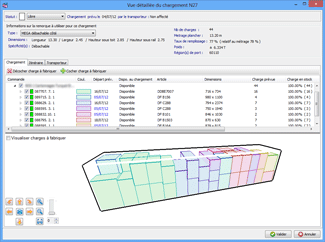 Thanks to its label creation system and its various libraries, you will be able to format and customize your labels easily. We will also advise you on the best devices to use with our applications, and even provide you the equipment you want. Thanks to GesPack, you will be granted with a computer control over the whole shipping process. Your truck loading is organized so that you can place as much pallets as possible for the same geographical area. Consequently, your costs are reduced. 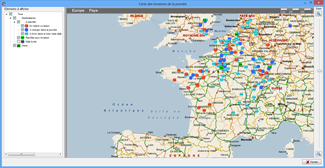 A planning manages all your deliveries according to their volume, their weight, their destination, their hour and deadline, their technical specificity (height and truck kind…) even is the orders are still on the production line. Therefore you foresee your truck rentals, you organize your fleet of trucks and the work times of your drivers to avoid the usual discomforts associated with logistics. the inventory of your finished goods, and their shipping to the customer. 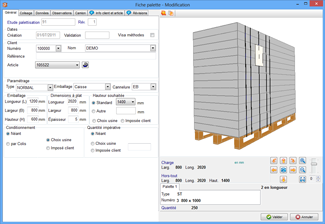 Preparing your pallets on a computer through our application « Palletization study », your order preparation team will earn a precious time. Indeed, the overall size of your products to ship is calculated in order to propose you the best pallet kind. Then, with the 3D preview, you will be able to quickly zoom, rotate and ensure the finishes choice of the pallets in order to make the actual loading as efficient as possible. Once they are produced, your finished goods enter your stock before being shipped. Thanks to the barcodes, every stock is tracked, whatever its location is in your plant. Therefore you are informed about your stocks status to avoid stock shortages. Palletization, truck loading, labels, shipments, IT never helps you to save so much time. 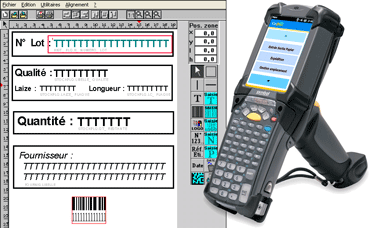 We are experts in barcodes, either software or hardware, and we will meet all your expectations.